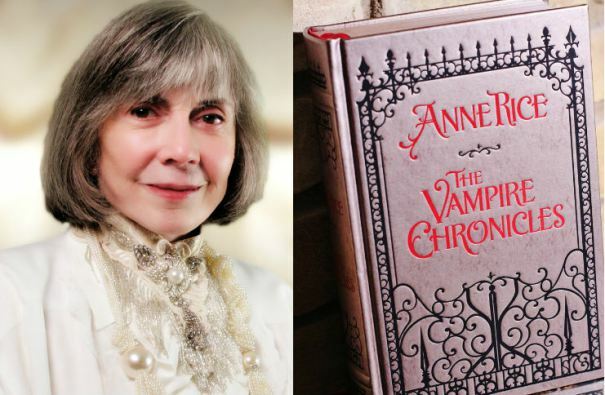 Author Anne Rice and her son, Christopher Rice, has regained the rights for her book series The Vampire Chronicles, and is planning a TV show. The plan was for Universal/Imagine to do a movie based on The Vampire Chronicles, but that idea did not work out. 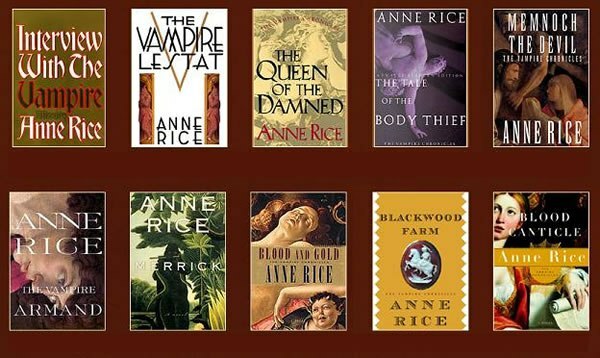 So now Anne Rice has regained the theatrical rights, only to make sure the book series will be turned into a TV show, where the characters have time to grow. Rice and her son are right now in the planning phases, where ideas are being processed. What they do know is that they will start with book two; The Vampire Lestat, that tells the story of Lestat’s vampire birth. They expect to use two seasons on that book alone. The plan is to create a series without a planned ending, as they have 14 books to work from. “The theatrical rights to the Vampire Chronicles are once again in my hands, free and clear! I could not be more excited about this! — A television series of the highest quality is now my dream for Lestat, Louis, Armand, Marius and the entire tribe. In this the new Golden Age of television, such a series is THE way to let the entire story of the vampires unfold. — My son Christopher Rice and I will be developing a pilot script and a detailed outline for an open ended series, faithfully presenting Lestat’s story as it is told in the books, complete with the many situations that readers expect to see. We will likely begin with “The Vampire Lestat” and move on from there. —– When we sit down finally to talk to producers, we will have a fully realized vision of this project with Christopher as the executive producer at the helm. I will also be an executive producer all the way. —- Again, I cannot tell you how happy it makes me to be able to announce this. As many of you know, Universal Studios and Imagine Entertainment had optioned the series to develop motion pictures from it, and though we had the pleasure of working with many fine people in connection with this plan, it did not work out. It is, more than ever, abundantly clear that television is where the vampires belong. —- Over the years you all have told me how much you want to see a “Game of Thrones” style faithful rendering of this material, and how much you want for the series to remain in my control. Well, I have heard you. Which actors will be in The Vampire Chronicles? “We hope to be involved at every stage! I want to launch this in a way that my son, Christopher, is the executive producer at the helm of it and I’m sort of assisting him. He’s got the youth and the stamina and the vigor to actually take the leading role in this. At my age, I would rather assist him than be totally in charge, but yes, I think we would have a great deal to do with casting. We do not really want to let this out of our hands until we find the people that are most sympathetic to our vision for it. This is an age in which fantasy film and fantasy TV have done so well… there are all kinds of actors – in Australia, in England, and in America, and coming from other countries as well – that can play these kinds of characters and can do period very, very effectively. And they can do the kind of diction that you need when you’re dealing with 18th century characters. I don’t think there will be any trouble finding an actor, at this point. And who will play Louis?